JAGA informs the homesick LION-O that the Time Capsule containing the history of Thundera is still intact somewhere on Third Earth. 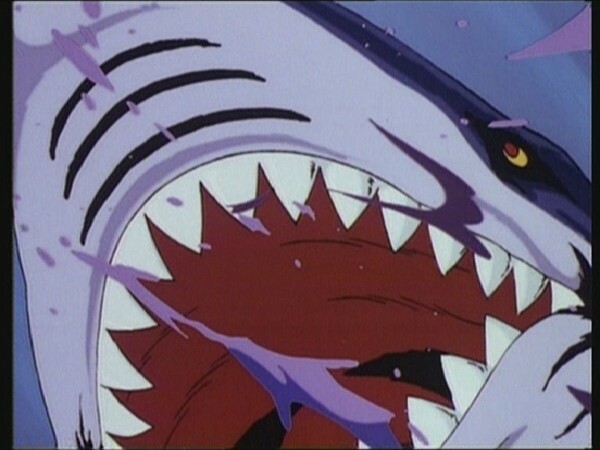 The quest to find the capsule leads LION-O and SNARF into a battle with a BLACK WIDOW SHARK before they escape over the Bridge of Light built by the Unicorns. 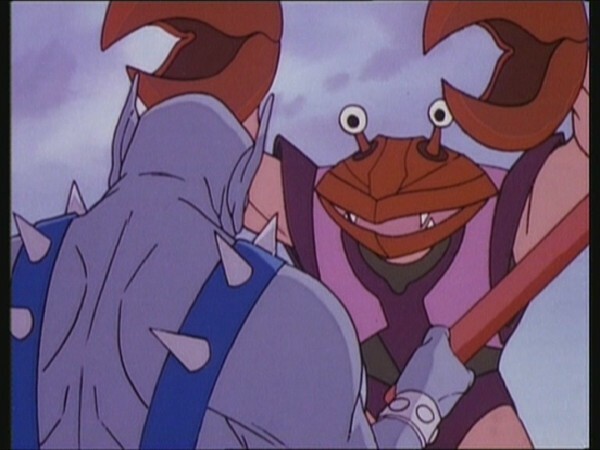 TYGRA confronts the MOLEMASTER in the cave of the MOLEMEN, CHEETARA fights off a giant serpent, PANTHRO narrowly escapes a huge CRABMAN, and the ROCKMEN have to be overcome by LION-O and SNARF. The Time Capsule is found in the possession of an over-muscled CAVEMAN. 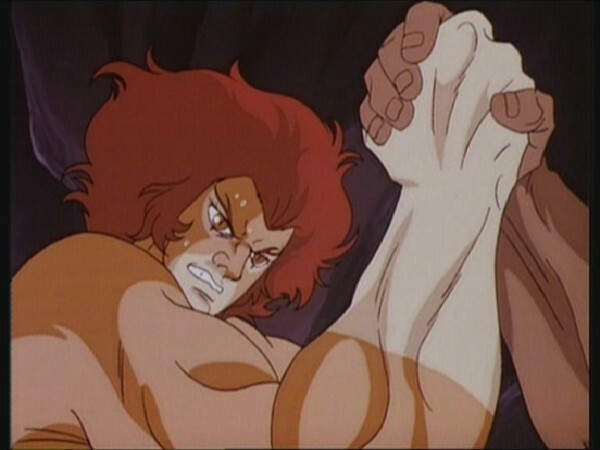 LION-O arm-wrestles him for the ‘prize’ and winning, the THUNDERCATS take their capsule home. A person’s sense of identity includes identification with social, ethnic, racial, and religious groups into which one is socialized. This identification begins early, but is consolidated in adolescence. Lion-O’s search for the Time Capsule is motivated by his desire to learn about his heritage. His motivation is strong since he missed his significant adolescent years when identity formation occurs. In that period, reasoning powers move beyond the particular and concrete to the general and hypothetical and are able to encompass more comprehensively such concepts as race and class. In the early and middle childhood years, in which the foundation is laid for identity formation, it is important children learn to develop positive racial and ethnic group identifications, which provide them with self-esteem. 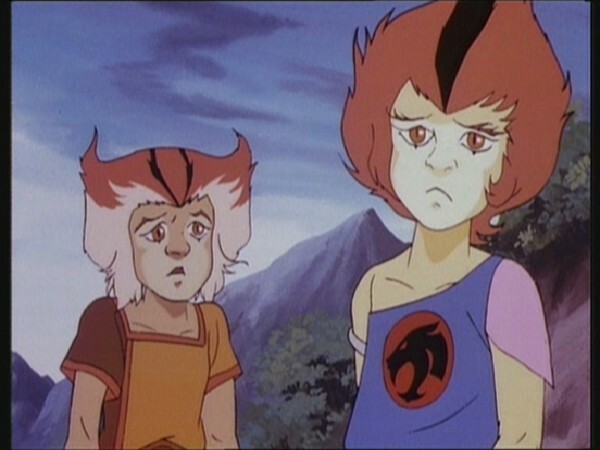 In a couple of ThunderCats episodes, particularly at this early juncture of the series, the issues of the ThunderCats’ homesickness and sense of isolation are tackled. The first episode to touch on this is “Pumm-Ra”, where Mumm-Ra plays on the ThunderCats’ emotions to attack the feline heroes from within. However, in this episode we see the issue approached from a totally different perspective—not as an emotion evoked as part of a villainous plot, but instead a natural yearning on the part of the ThunderCat who arguably knew his home planet the least, Lion-O. 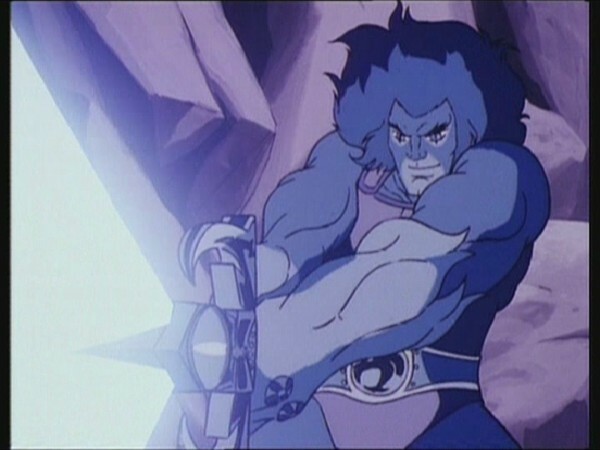 Actually, if this is thought about in any great depth, it’s interesting that Lion-O is the one who should have the most fervent desire to learn more about his home planet, given that, at the time of the ThunderCats’ enforced departure, he was approximately the same age as WilyKit and WilyKat are shown to be in this episode. However, far from being a plot hole, whether consciously or unconsciously this is actually a brilliant piece of character writing, because the ThunderKittens are still immersed in the innocence of youth, whereas Lion-O is struggling towards manhood and (perhaps more significantly) growing into a mature and wise leader. Therefore it could be argued that it’s natural that he would be more curious about his home planet’s history and culture than the ThunderKittens. One slightly curious element of Lion-O’s desire to learn more about his home planet is how little of it he appears to remember. Given that he was aged twelve when he last saw it, it’s not as though he would have been an infant with only vague memories. This is partially explained away when he asks Jaga what actually went on on Thundera (as opposed to asking questions about what the planet looked like), yet at times it does appear that Lion-O doesn’t remember much of his home planet given that he left it so late in his childhood. Perhaps as the son of Claud-Us, then the Lord of the ThunderCats, he was forced to lead a very sheltered life, but this is obviously just conjecture. 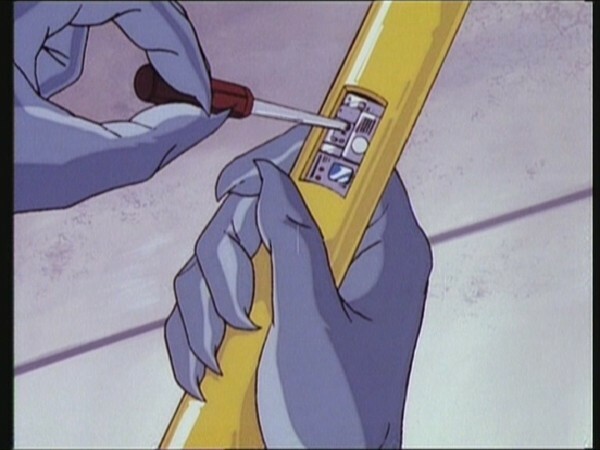 Something that makes this episode memorable is that, although the ThunderCats encounter several hostile beings during their search for the Time Capsule, this episode is devoid of a central villain such as Mumm-Ra or the Mutants. 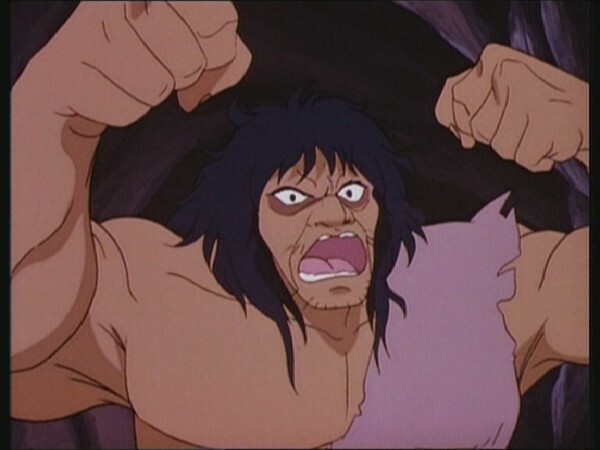 It could even be argued that this is the first time that this has happened, although it would depend on your point of view, as the episode “The Tower of Traps” also lacks a villain in the truest sense of the word, as Baron Karnor taunts Lion-O and the Thunderkittens from beyond the grave. As it is, “The Time Capsule” manages to cleverly weave together an “exploring Third Earth” episode that really helps to further the sense of wonder, excitement and (often) danger that permeates the ThunderCats’ adopted planet. Another noteworthy element of this episode is the introduction of the ThunderKittens’ vehicles, the spaceboards. Providing WilyKit and WilyKat with their own method of transportation is a clever move, as it enables them to play a more active role in many future episodes, even if that role is only getting themselves into trouble! 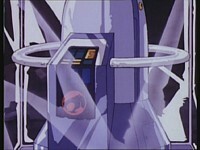 The clever thing is that, although a relatively big deal is made about the ThunderKittens’ new vehicles throughout the course of this episode, the spaceboards themselves are not a central part of the episode to the extent that the Feliner was in its introductory two-parter, and in my opinion this is handled exactly right. Whilst the introduction of the Feliner completely revolutionized the ThunderCats’ ability to travel, and helped take their adventures into space, the ThunderKittens’ spaceboards are merely an extension of land-based vehicles like the ThunderTank, and as such would struggle to sustain a story based completely around them. With “The Time Capsule”, the sub-plot about the spaceboards is woven absolutely perfectly into the episode’s main plot, and whilst it’s only a small thing, it makes a big difference to the interest value of this episode. At this end of the ThunderCats series, it is very hard to find poor quality episodes, and an episode like this makes it harder still. Whilst there are episodes that are more memorable, this episode nonetheless makes a unique and believable addition to the ThunderCats storyline, and as such it comes highly recommended! This episode marks the very first appearance of WilyKit and WilyKat’s famous spaceboards, which the ThunderKittens would use extensively throughout the remainder of the series. 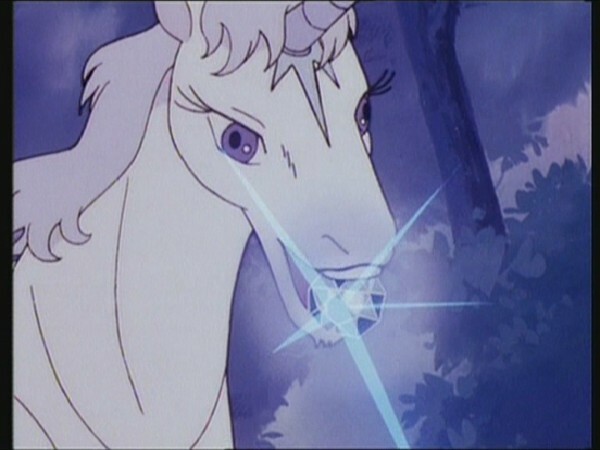 This episode also features the first appearances of the Black Widow Shark and the Bridge of Light, introduced to Lion-O and Snarf by none other than the female Unicorn Keeper. 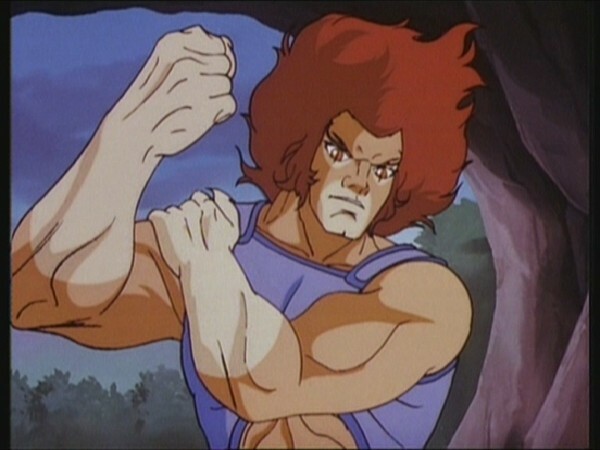 In this episode, Jaga specifies that Lion-O was twelve years old when the ThunderCats fled Thundera. 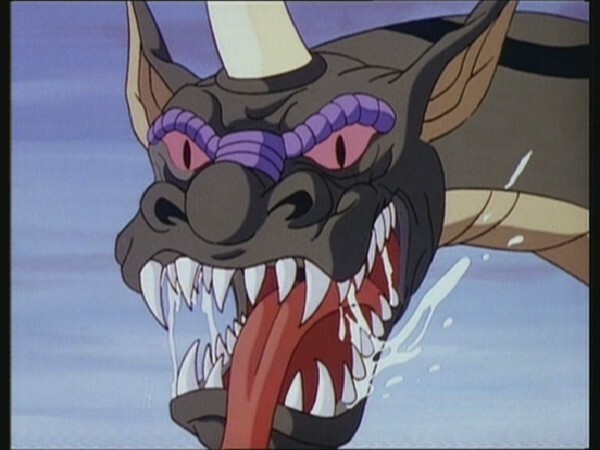 Although the giant reptile-like creature that attacks Cheetara in this episode is left unnamed, Rankin-Bass production artwork refers to the creature as a “giant serpent”. Although the Mole Men were introduced in “The Garden of Delights”, this episode marks the first appearance of their tyrannical leader, Mole Master. 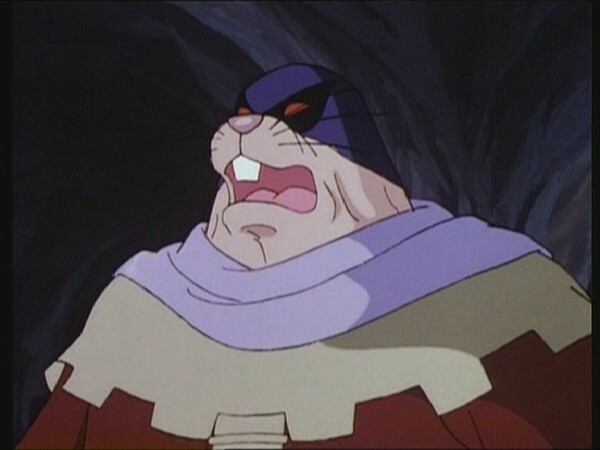 Mole Master’s most significant role in the series would be as a member of Jackalman’s army in the episode “Jackalman’s Rebellion”. 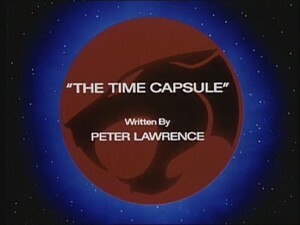 “The Time Capsule” is the first episode attributed to Peter Lawrence, nominal story editor who would become ThunderCats‘ de facto head writer in its later seasons.